In this blog, we will take a look at the emergence of smart meters, the benefits that they can bring to an environmental and/or cost-conscious household as well as the process of installing them and some national plans to do so in the UK and Ireland. A Smart Meter is an electronic device that is used to read electricity and gas consumption in real-time, allowing customers to improve energy efficiency and to reduce costs. Both energy suppliers and end users will generally have live access to usage figures through Smart Meters, typically on an hourly basis, with a report being sent to the supplier at least daily via a signal such wifi or cellular data depending on the device in use. In the coming years, it is perceived that traditional electricity and gas meters will become obsolete, being replaced by their smart equivalent as the national grids become more flexible and efficient, allowing for greater consumption of renewable energy sources. Smart Meters offer a range of functions such as informing end users how much energy they are using on a daily/weekly and even hourly basis through a small smart display located inside the home. By communicating directly with energy suppliers, it eliminates the need to physically go and read the meter, saving costs and completely eliminating the estimated readings which are often a cause of frustration among many energy customers on a regular basis. Smart meters allow consumers to view their electricity and gas consumption on a somewhat granular level, allowing them to understand times when usage is higher than it should be leading to unnecessary costs. This detail allows the end user to become more energy conscious and in turn make significant savings on their energy bills. As it stands, utility customers (with the exception of those on a pre-paid plan) receive estimated bills after the energy/gas has been used - often a month in arrears. This creates a great deal of uncertainty on the level of usage during the billing period often leading to the dreaded wait on the bill to arrive. Smart Meters eliminate this uncertainty as you have full visibility over what the bill will be in real-time, meaning no nasty surprises at the end of the month. This allows the bill payer to better plan finances throughout the month and not be worried about a direct debit payment much larger than expected. By another means, this step is also beneficial to the utility provider by reducing the number of calls made to their customer service department upon the issue of a bill. Although the Smart Meter won’t make the savings itself, it is believed the information it provides on the display unit will start to encourage a completely different behaviour in terms of energy consumption. As previously mentioned the “estimated readings” are just one of those little things in life that often cause some level of frustration, especially if they were based o a period where the utility bill would have been much higher than usual (Christmas/Winter). 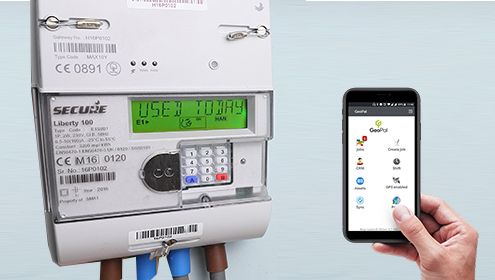 Smart Meters themselves are also fully tested for accuracy in line with particular standards to ensure readings are correctly calculated and so far have proved more accurate than analogue meters across the world. If you’re a regular gym goer you’ll know the difference between an off-peak membership and a regular one - they can afford to give you cheaper rates when you’re coming in at quieter times (such as mid-afternoon) as opposed to peak times before and after work for example. This concept could easily be replicated in the utility industry as a method to conserve energy sources at peak times and Smart Meters will enable this type of innovation. Rather than coming home from work and putting on a clothes wash, the dishwasher and the oven all at once, some of these tasks could be put off until later in the evening for example. Although off-peak charges aren’t a common concept at the minute there is evidence to suggest it will grow in popularity with the ability to track using Smart Meters. According to Ofgem, all energy suppliers in the the UK must aim to install Smart Meters in every home in England, Wales and Scotland by the end of 2020 while 250,000 of the devices are set to be fitted in Ireland by the end of 2020 and an additional 500,000 in each of the four subsequent years/. A number of contractors commissioned to install these devices are using GeoPal to create each of the jobs and assign them to the relevant field workers to carry out installation. This allows them to ensure all installations follow a particular sequence to ensure consistency, effectiveness and customer satisfaction while also ensuring they are in line to achieve the target numbers set out by governing bodies. Want to know more about how GeoPal is used to manage this? Sign up to a free live demo here and a member of the team can give you a tour of the system and how it can be used to manage Smart Meter installations!